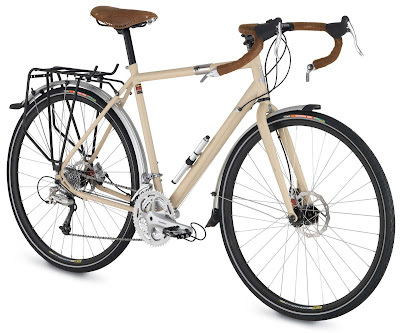 The classy and functional Raleigh Sojourn is made of sturdy Raleigh steel and comes with fenders, disc brakes, rear rack, attached tire pump, bell and a very cool Brooks aged-leather saddle. While we applaud his choice of bike, he also really likes a $500 jacket when it comes to gear. We really don't know anybody who is in the market for a $500 cycling jacket, which is why we carry a lot of great jackets that are far under the half-a-thousand-dollar price point. That said, the entire list is solid when it comes to gift suggestions, and we have the products he recommends in similar versions from Pearl Izumi, Endura, Giro, and other great manufacturers. All of which will help prevent you from (as Sal puts it) "showing up at the office without looking and smelling like a sweat-soaked reindeer."